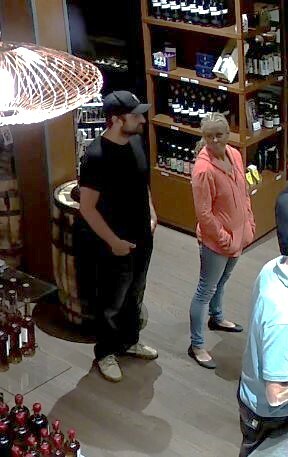 Sidney/North Saanich RCMP are investigating the fraudulent use of credit cards at Victoria Distillers located at 9891 Seaport Place, Sidney, BC. that occurred on August 17 & 28, 2018. 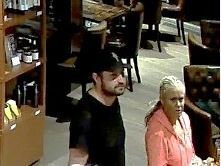 Investigators are looking to identify the male & female in these photos.